How much is Jane Campion Worth? 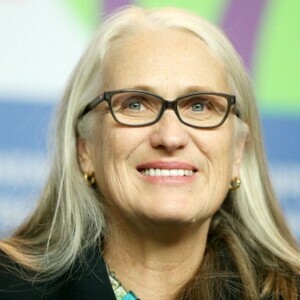 Jane Campion Net Worth: Jane Campion is a New Zealand screenwriter, producer, and director who has a net worth of $10 million. Jane Campion was born in Wellington, New Zealand in April 1954. She graduated from Victoria University of Wellington in 1975 and attended Chelsea Art School. She graduated from Sydney College of the Arts in 1979 and turned to film and created Tissues in 1980. She graduated from the Australian Film, Television and Radio School in 1984. In 1982 she wrote and directed the short film An Exercise in Discipline – Peel. Campion's feature film debut was Sweetie in 1989 which she wrote the screenplay for and directed. She wrote and directed The Piano in 1993. For The Piano Campion won the Academy Award for Best Original Screenplay and became the first female filmmaker to receive the Palme d'Or. She was also the second woman to be nominated for an Academy Award for Best Director. Campion served as head of the jury for the Short Film and Cinefondation sections of the 2013 Cannes Film Festival. She was also head of the jury for the main competition at the 2014 Cannes Film Festival. Campion has been won over 50 awards in total. Jane married Colin David Englert in 1992 and had two children before divorcing. Their daughter is actress Alice Englert and their son passed away after just 12 days.